Concerned netizens among the DDS circles and various groups supporting Pres. Rody Duterte exposed the real identity of Father Manuel "Noel" Gatchalian who allegedly received an expensive gift from Sen. Antonio Trillanes. 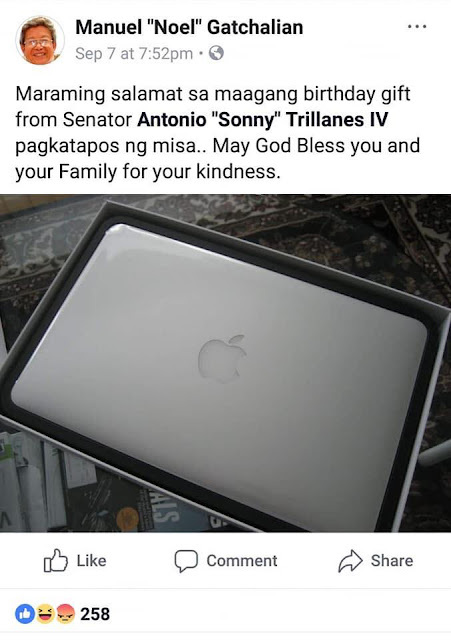 According to the post made by a certain Michael Jude, one of the moderator of PRESIDENT RODY DUTERTE-FEDERAL MOVEMENT INTERNATIONAL Facebook Group, Father Noel Gatchalian allegedly received an Apple laptop from Sen. Trillanes after his earlier mass inside the Philippine Senate where the senator stayed. 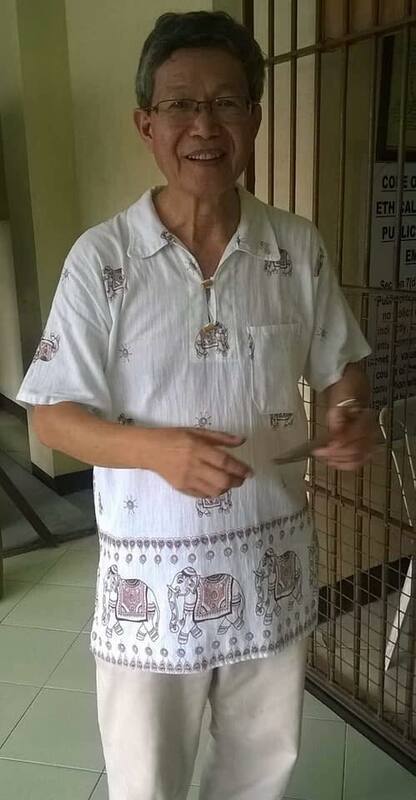 Father Noel Gatchalian is the controversial priest who was caught on video praying for Pres. Duterte's illness during his homily. 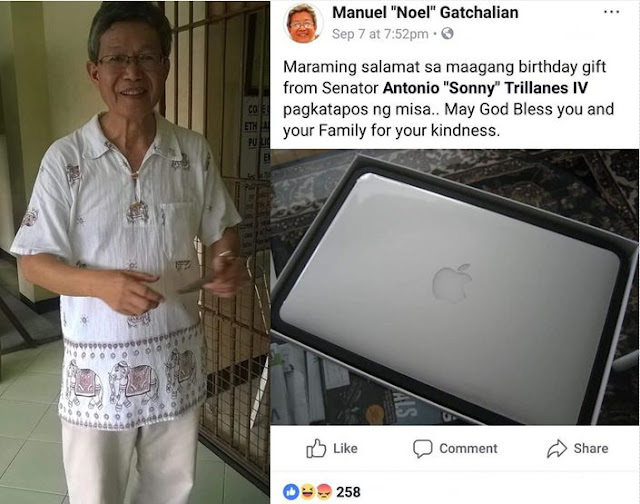 The alleged gift of Sen. Trillanes to Father Gatchalian was allegedly confirmed by the priest through his Facebook account wherein he thanked the senator for giving him an early Christmas gift. Although we are still confirming about the validity of the said Facebook account and Facebook Page of Father Noel Gatchalian, the camp of the priest did not released a statement to the media as of this writing. The mainstream media are not reporting about the incident also but in the social media sphere particularly among the various Pages and Groups supporting Pres. Duterte, the controversial expose became the hottest topic among DDS supporters.